Given the limited seating of the restaurant, we accept reservations for parties of 6 or more, or with a pre-ordered Peking Duck or Beggar's Chicken. Please let us know if you are running more than 15 minutes late, as your table may be given away and the original requested time may no longer be available. Although reservations are recommended, we welcome walk-in guests and will accomodate as much as possible. Call us at 972-881-1888 to make your reservations today. 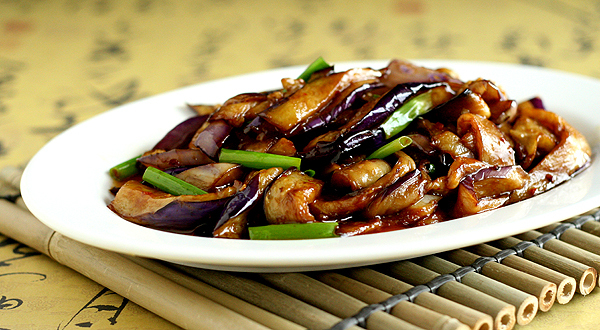 Unique signature dishes are the hallmark of Mr. Wok. Our classically inspired recipes are creatively updated with an innovative combination of premium ingredients: plump, hand-selected mangos; fresh ramen imported from Japan; only the finest house-marinated meats; superior grade nishiki rice; and 32 unique, made-from-scratch sauces. The result is a one-of-a-kind array of culinary creations like our Ton Chung Ramen, Wok-Seared Edamame, Spicy Parmesan Prawns, Cha Han, Asian Spaghetti, and Banana-Chocolate Spring Rolls. 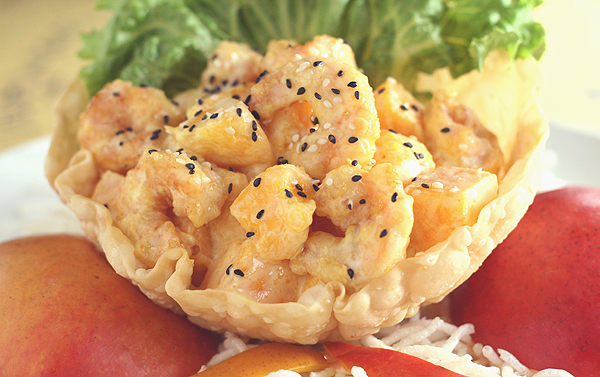 Our Mango Shrimp, another Mr. Wok exclusive, enchants your taste buds with its rich, creamy texture and intense flavor, artfully presented in a crispy wonton bowl. 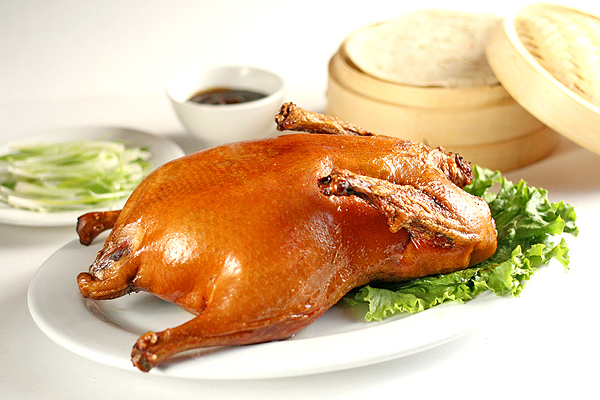 Or, for more traditional palates, our succulent Peking Duck, carved and served tableside, is a house favorite. 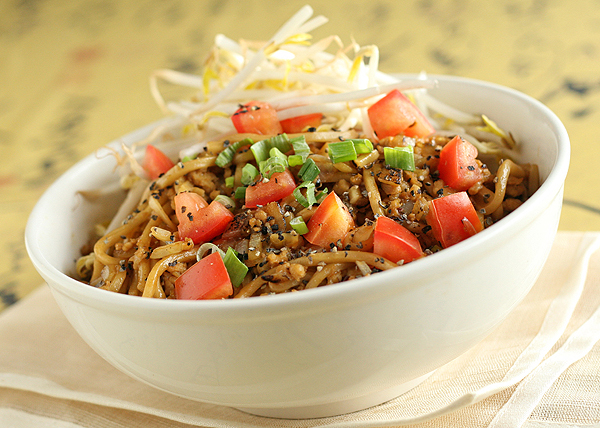 Egg noodles tossed with minced chicken, diced onions, and garlic in our black pepper sauce. Garnished with diced tomatoes and bean sprouts. 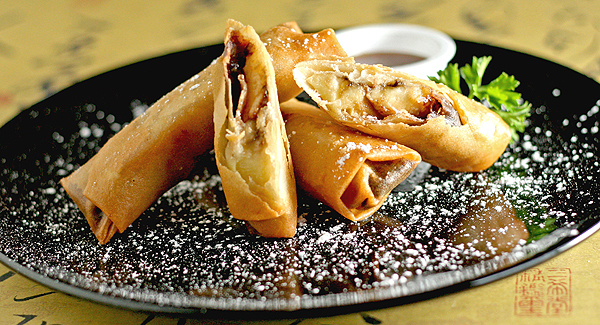 Crispy spring rolls filled with banana and accentuated with chocolate morsels. Served with caramel dipping sauce. A whole chicken stuffed with Chinese sticky rice, first stir-fried with shallots, dried shrimp, Cantonese sausage, shiitake mushrooms, peas, and carrots in five-spice powder. 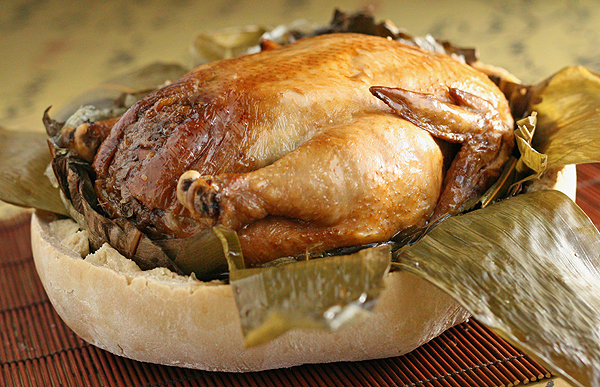 The moist chicken is then wrapped in lotus and bamboo leaves, and finally encased in a bread crust which seals in the flavor, aroma, and juices during twenty-two hours of roasting. Please reserve two days in advance. 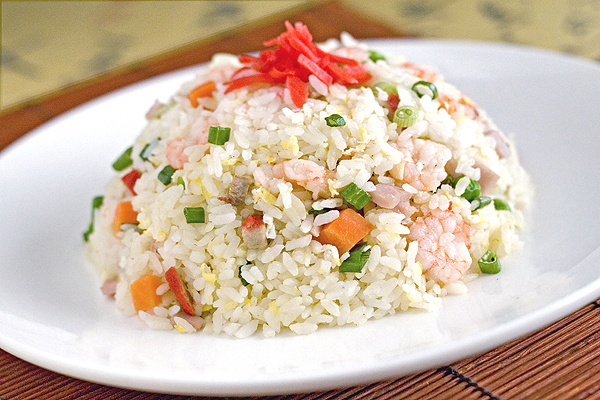 Superior grade Japanese short-grain rice stir-fried with egg, vegetables, and green onions. Garnished with pickled ginger and served with a soy-dashi broth. 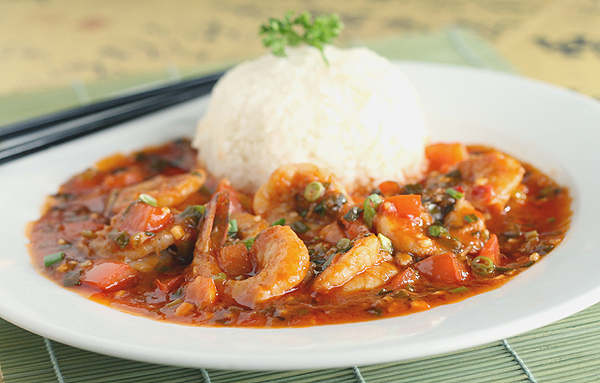 Succulent prawns simmered in our sweet, chili garlic sauce made with scallions, ginger, fresh garlic, and tomatoes. Diced chicken, water chestnuts, and scallions wok-seared in hoisin sauce. Served with lettuce cups. 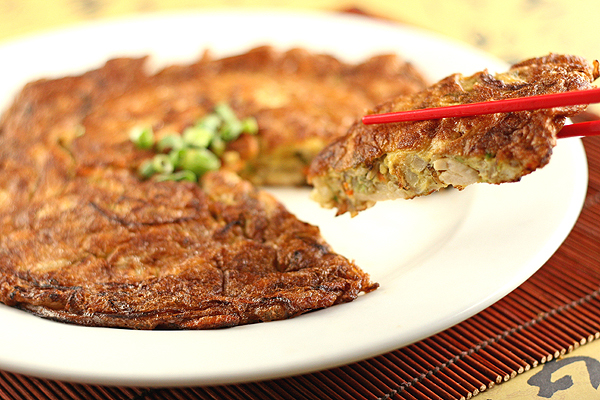 An 8-inch omelet delicately wok-seared with vegetables and served with a brown gravy. 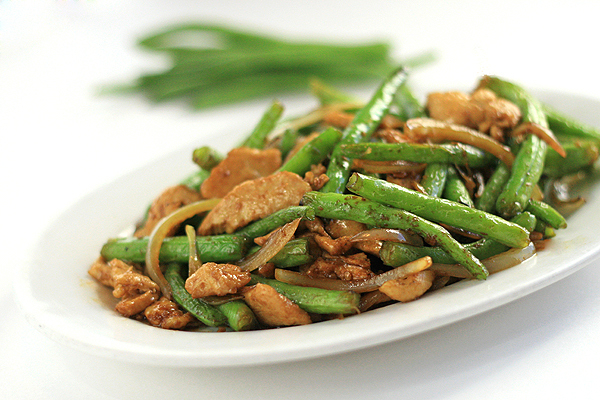 Fresh green beans, garlic, and onions sautéed in a light brown sauce. Our decadent creation, only at Mr. Wok. 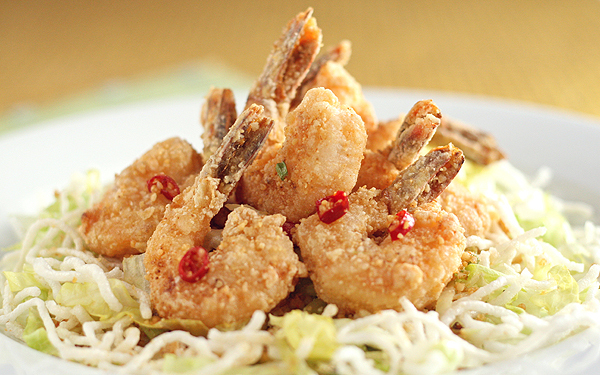 Juicy, hand-selected mangos tossed with lightly battered shrimp and crushed peanuts in a sweet cream sauce. Presented in a crispy wonton bowl. 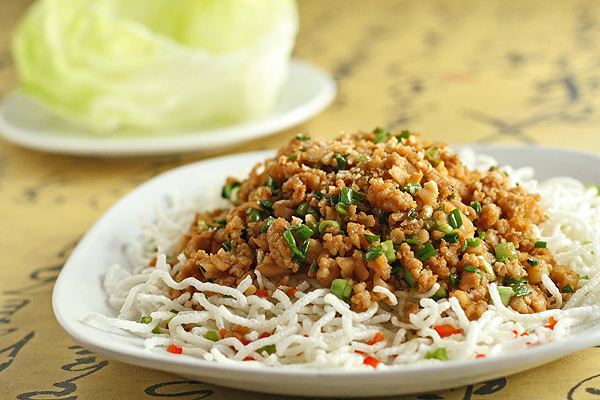 Classic sweet-sour Thai dish of rice noodles, egg, bean sprouts, crushed peanuts, tofu, and scallions. then stir-fried with garlic and sour mustard leaves or prepared as soup for the second course. 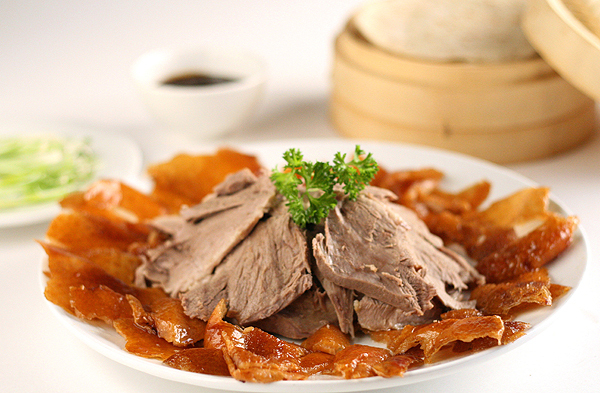 Peking Duck is offered daily until sold out. We recommend calling a day ahead to reserve. 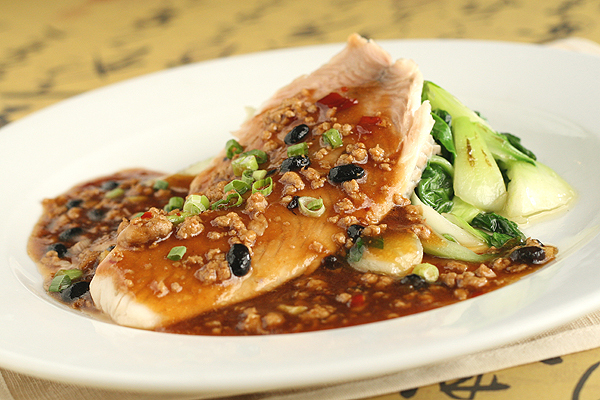 Tilapia fillet topped with our delicious ground pork chili sauce. Served with wok-tossed baby bok choy. 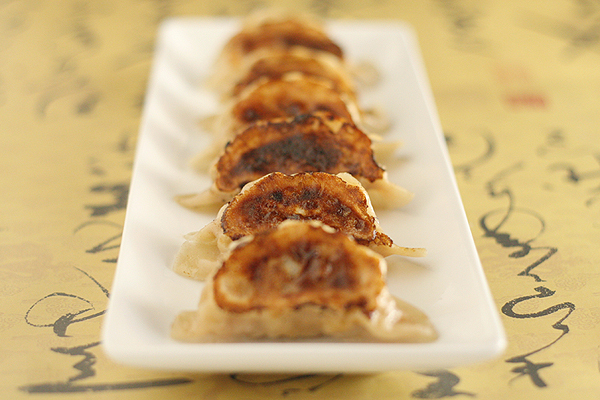 Pan-seared handmade dumplings filled with pork, cabbage, garlic, and ginger. 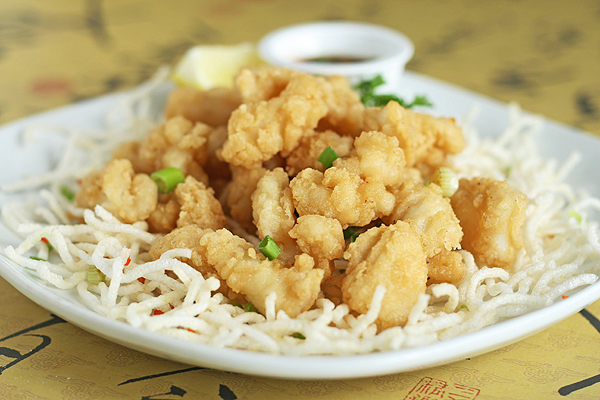 Lightly-battered calamari dusted in salt and pepper, then tossed with garlic and scallions. Served with chili-soy. 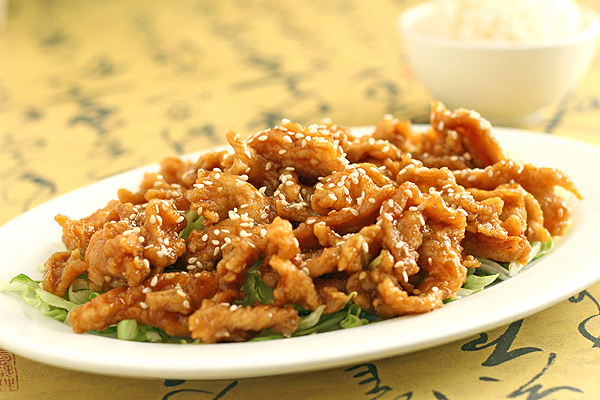 Tender white meat chicken or beef, lightly battered, then tossed in our delicious sesame sauce and served atop shredded lettuce. Unlike any version you’ve tasted! 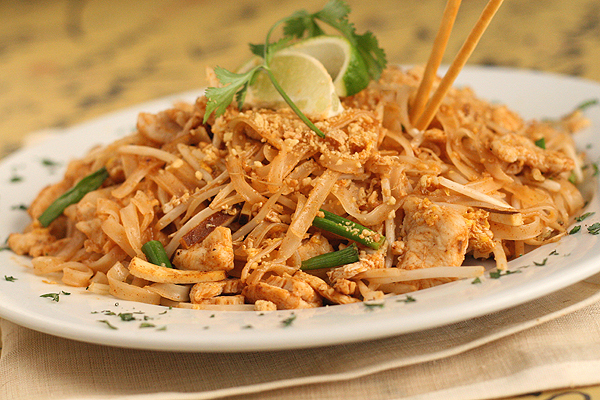 Lightly dusted with Parmesan cheese, then wok-tossed with fresh Thai chilies, garlic, and ginger resulting in a unique blend of flavors. 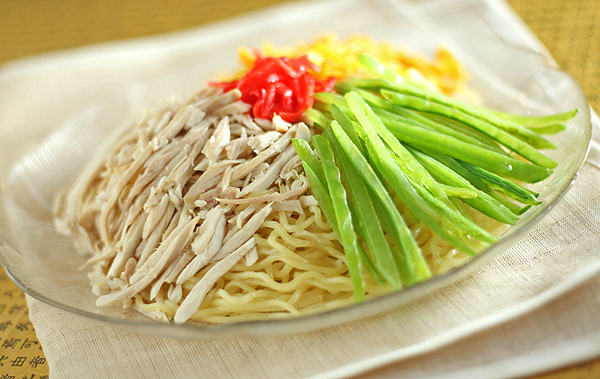 Shredded chicken, julienne snow peas, and egg atop a bed of chilled noodles. 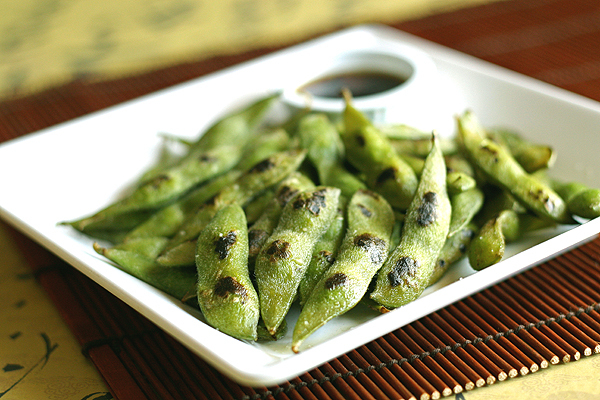 Served with ginger-soy vinaigrette or spicy peanut sauce. 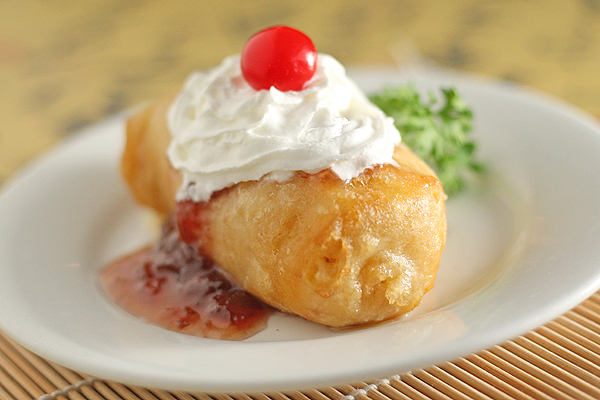 Vanilla ice cream delicately battered in a crispy shell, then topped off with strawberry preserves, whipped cream, and a maraschino cherry. 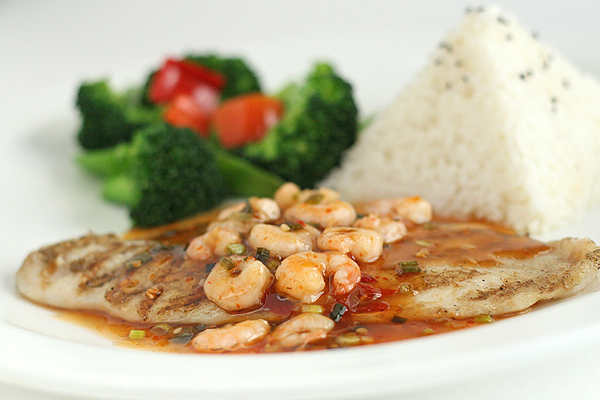 Fillet of sole, grilled to tenderness then topped with shrimp in a tangy Thai chili sauce. Served with fresh mixed vegetables and a steamed rice pyramid. Please allow for extra cooking time. 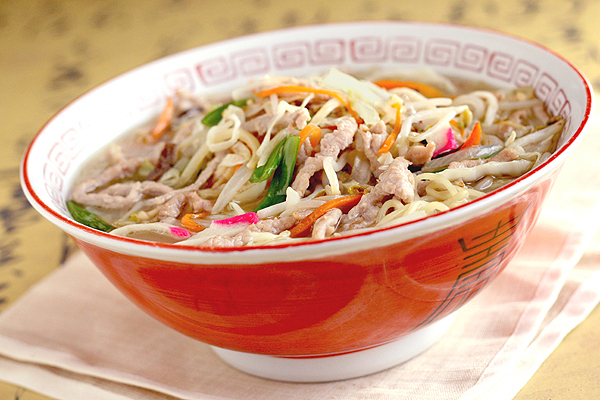 Our most popular noodle soup. Wok-seared pork, cabbage, onions, bean sprouts, carrots, kamaboko (surimi), mushrooms, and scallions in a savory pork broth. A Mr. Wok original. Soybeans in the pod wok-seared and tossed with salt. A Mr. Wok original.